Google Analytics is great at telling you what’s coming into your site, but it’s not designed to tell you what’s going out. For the most part that’s OK, but what if you have affiliate adverts, and you want to track if your visitors are clicking on them, or you want to find out which ones are NOT getting clicked on so you can drop them. Note: This is just for the new ‘asynchronous’ version of the code, for the old version see this post. 2. 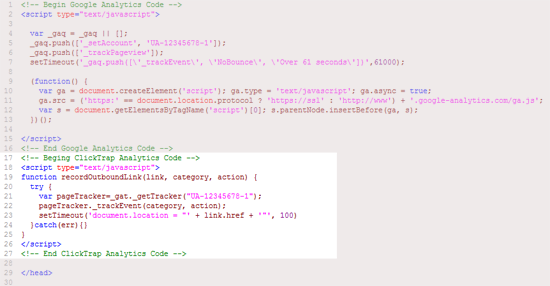 Paste in the code AFTER your Analytics code. Change the Analytics tracking code account number (shown below as UA-123456-1), to your own! 3. Then add the following to your advert/link. 4. 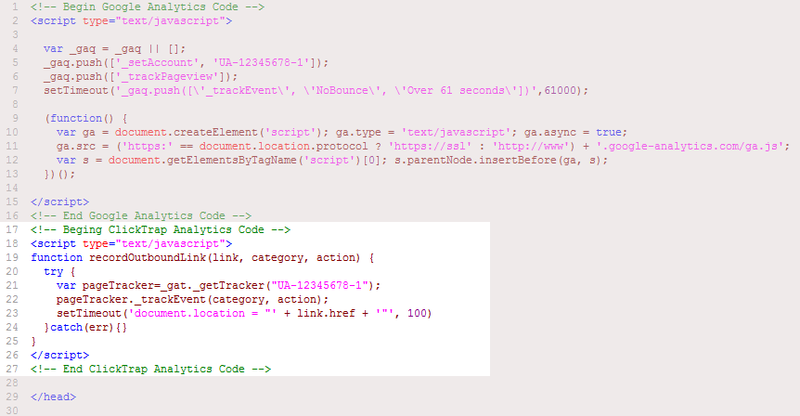 Log into Google Analytics > Content > Events > Overview.